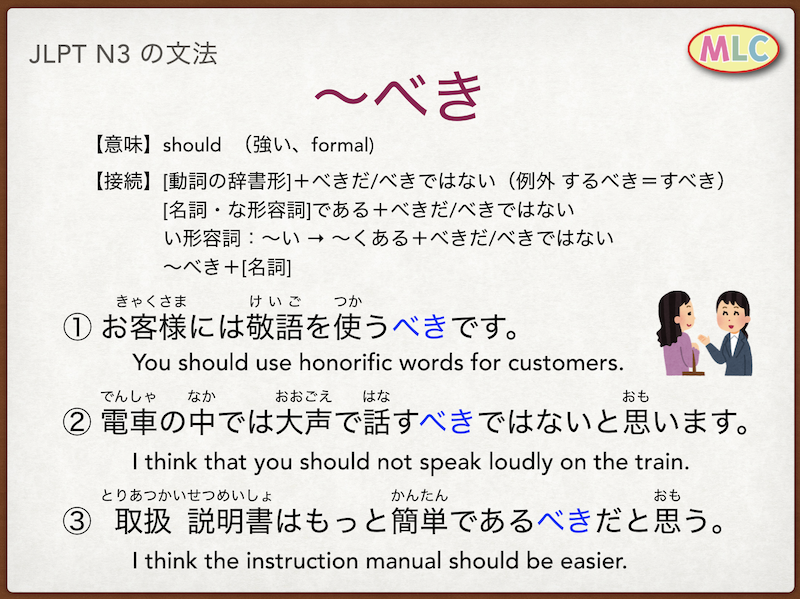 ・お客様に敬語を使うべきです。You should use honorific words for customers. ・電車の中では大声で話すべきではないと思います。I think that you should not speak loudly on the train. ・取扱説明書はもっと簡単であるべきだと思う。I think the instruction manual should be easier.